As a professional editor for the past twenty years, I’m always looking up guidelines in the industry-standard resources—which, for published books, is The Chicago Manual of Style and Merriam-Webster’s Collegiate Dictionary. So much of writing is subjective, up to author and publisher preference as well as educated guesswork as to what will be most effective for the target reader. But punctuation, usage, grammar, and spelling (“PUGS”) have actual rules that, for the most part, have black-and-white, right-or-wrong answers. That appeals to my analytical left brain. And that’s the main focus of my book Proofreading Secrets of Best-Selling Authors. But CMOS entries occasionally say that a guideline is one way for “formal” writing and another way for “informal” writing. So my analytical left brain goes into overdrive, wondering what constitutes formal versus informal writing. I want a list—two lists, actually, one for each category. CMOS doesn’t include such a list. I recently entered into a discussion on a writers’ loop where we discussed the spelling of all right. Someone said that alright was an acceptable spelling but that editors didn’t like it for some unjustified reason. Naturally, I had to point out the justifications editors have for not liking it. Mainly, that CMOS and M-W consider alright to be an alternative or substandard spelling. The first spellings listed in dictionaries are considered the more “correct” ones while the secondary spellings are the ones people use even though they’re not technically considered “correct.” While some folks may not have a problem with it, others do. (Okay, mostly editors and English teachers, but we make up a large percentage of book readers.) So if you don’t want a portion of your readers to be taken out of your story or message by a word they considered to be misspelled, you’d be wise to just use the more acceptable spelling, all right. I mean, why not? The lines are too blurry for definitions; it’s just common sense. Your choices in writing determine whether the document is formal or informal. While I greatly appreciate the personal response from CMOS, their answer still leaves that demarcation vague, in my opinion. Sure, it’s common sense that a text or Post-it Note is informal and a dissertation or legal document is formal. Extremes are always obvious. And looking at their “informal to formal” gradation … sure, a blog post is more informal than a wedding invitation. But what’s right there in the middle of that list? Articles and books. So my “choices in writing” determine whether something is formal or informal. Does that mean a theological Bible study is formal but a children’s picture book is informal? Probably. But that still leaves a lot of middle ground. If I want to write my devotional with a friendly, coffee-across-the-table tone, does that make it “informal”? If I want to come across as a professional to the readers of my how-to book, should I follow the guidelines for “formal” writing? Getting back to the issue that sparked the question … I have seen alright in some novels and novellas—mostly in the romance genre. But I’m still going to flag it if I see it in a manuscript I’m editing. Because it’s going to take me out of the story or message if I see it in a book I’m reading, and I know I’m not the only one. All right, time for my followers to chime in. I’m not looking for a discussion of alright here—I’ve heard the arguments and am unlikely to change my opinion since it’s based on industry-standard guidelines. 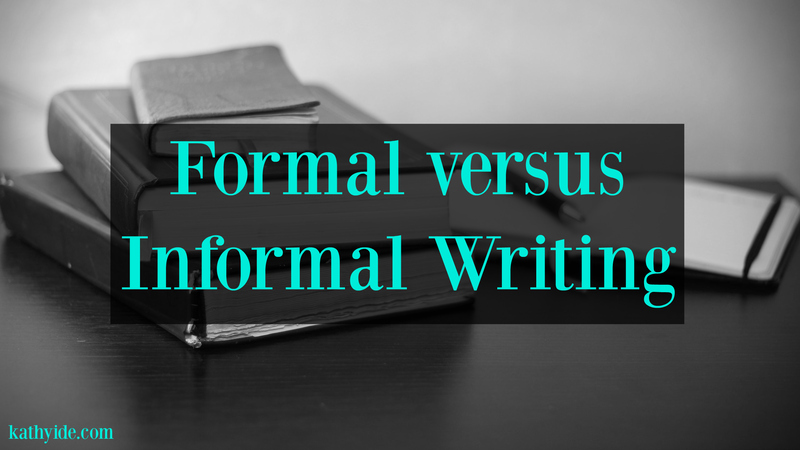 My question to you is this: where do you draw the line between “formal” and “informal” writing? If the writing isn’t edited, go for it with the alright if that extra l is going to cramp your hand or your style. But if it’s going to be edited, use the proper spelling. All right. They seem to “get” that better than formal/informal. And for what it’s worth, I consider my blog to be uber informal (after all, I use words like “uber” in it). You’ll never find me writing alright. I like that distinction, Chautona. If an editor is going to look at a manuscript, that editor will likely want to change “alright” (unless it’s “house style” for a particular publisher). Without an editor, an author can use non-standard spelling if she wants to–realizing that some readers might notice. Well put, my friend. Thanks for sharing! I agree with Chautona. My distinction would also be if it’s going to be published and widely distributed. A book or article can have an “informal tone” without having substandard words. drive me crazy. Does this bother anybody else? If it’s going to be read by more than one person, I consider it formal writing. That would include a blog post (at least I hope more than one person would read my blog posts), a Christmas letter, a Facebook post. The only time I’d use “alright” is in the mouth of a fictional character. But then I am a former English teacher and an editor. And yes, Kay. All those examples bother me, too. Bring back formal! Let’s start a movement. I miss beautifully correct language, and two spaces at the end of a sentence, and actual sentences. Just this morning, I’ve cringed four times over incorrect grammar and spelling in ministry social media posts. These are not individuals who cannot afford proofreaders. I’d do it for them for free just to avoid being so distracted from their messages. I just wanted to chime in about two spaces at the end of a sentence. It is something all of us learned if we took an actual typing class, as opposed to a keyboarding class, which students take now, I believe. The standard for typography is a single space, rather than two. Typing teachers (correctly–for typewriting) taught their pupils to use two spaces, because typewriters are based on monospace type (all characters taking up the same amount of space). Computers use (and typographers have always used) proportional type, in which individual characters inhabit more or less space, depending on the actual width of the character. (Courier, which is designed to mimic typewritten text, is an exception.) One of the first things I do when I receive a manuscript from one of my authors is to search and replace double letter spaces with single. Here’s a Slate article from a few years ago that discusses this topic further: http://www.slate.com/articles/technology/technology/2011/01/space_invaders.html. See also Chicago Manual of Style 2.9: Space between sentences or after colons. I get it we write a book with formal standards so that those who are unable to look past the letter of the law and actually see the spirit of the law can also participate. These are the people who hide behind their high minded “I’m right” because it’s written down somewhere (by another human) and are unable to see the rest of the world on a level playing field. I sometimes wonder if pointing out “mistakes” is a way to justify their education or to make themselves feel good. All the while they take themselves out of the enjoyment that the rest of the world has with the informal. I get it, as writers we try to include everyone. Looking at this from the other side it is really sad to see all the “educated” people focused on the letter of the rules and miss all the good fun in the spirit of the writing. Their loss!